The OK hand gesture was chosen; because to me it represents that little moment where you get quickly revise whether or not you’re handling something. When someone asks you if you’re doing ok with something and you get that little moment to reflect and realize, yeah you know what this life thing isn’t so bad. Using music as a catalyst to unite people from all over the world, using different mediums to produce more than just music, but to make ART. 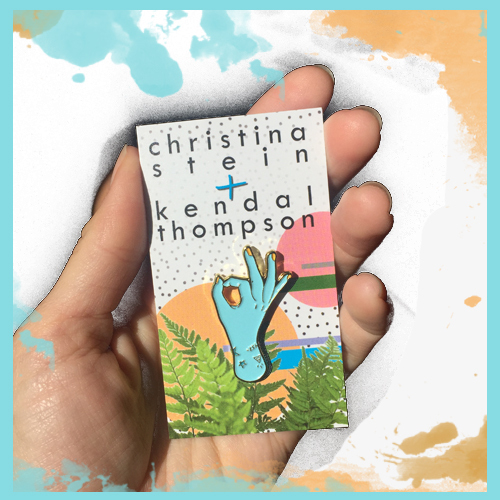 Album art work, the 'OK' hand by Christina Stein (@copperspruce) was an extension of a series of watercolour hands that Kendal and Christina connected through. 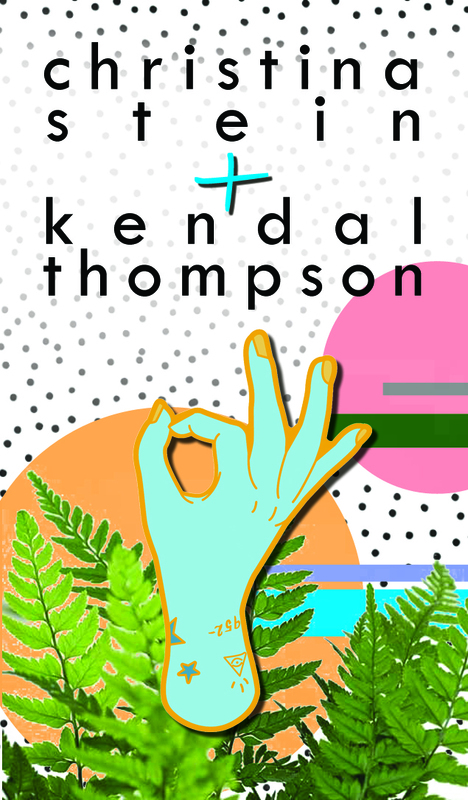 "Kendal and I decided to collaborate on the artwork for her EP for a few reasons. She was into an illustration that I had done of a hand holding the moon. I’m really into drying hands because I think that hands are really complex visually and what we choose to do with our hands is really complex. She said that while writing she was being introspective and “sitting with herself as she was” and I really connected to that." 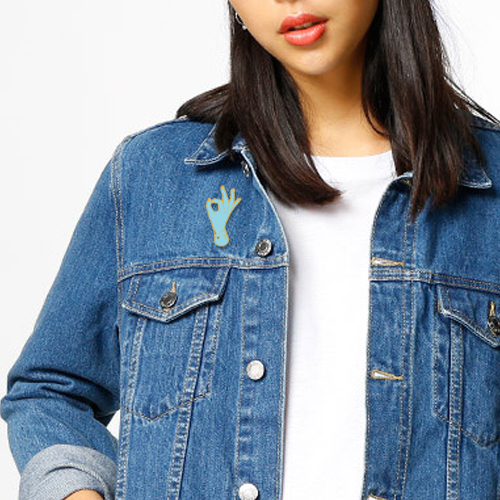 The OK hand gesture really resonated with me because I think that it’s really important to be able to sit with yourself how you are and to be OK with being uncomfortable in that introspection. It’s not so much that I think of it in terms of complacency but it’s more just allowing yourself to be where you are and being honest about that. Once you establish that solid ground it becomes a place you can stand from. as a mother and a perfectionist I really like the idea of the OK hand gesture to symbolize that introspection because what is celebrated and promoted in our in our culture and on social media is not always the full human experience. as a mother and professional I spend a lot of my time allowing myself to fail and fail publicly. I try not to judge my failings but to embrace them for what they are to learn from them if I can but mostly to allow myself to have complex human experiences that are maybe things that I can’t publicly celebrate but that’s OK and it’s OK to not be OK. So much of life is about living in chaos, not every moment needs to be perfect and that’s just part of being human. Christina Stein is a mixed media illustrator specializing in murals, watercolour, and oil portraits. Christina enjoys working with surreal imagery and hopes to inspire surprise and delight while leaving room for her audience to be curious and ask questions. She lives and works in Calgary from her studio Copper Spruce Studio. Using music as a catalyst to unite artists from all over the globe, using different mediums to produce more than just music, but to make ART. Kendal Thompson is a singer and songwriter born in Alliston, Ontario, Canada. She began singing at the age of three making up songs as she went along. Thompson began taking vocal lessons at the age of 12 and soon she was gathering fellow classmates for rehearsals of a girl group that never received a name, or made it out of the playground. From those failed attempts she learned how to persevere with her purpose in hand. In her early teens Kendal was shown a new light, being almost solely inspired by Lauryn Hill, began her journey of musical expression. She adopted a guitar her father had purchased years earlier for $10.00 at a local auction and the added musical outlet and freedom of expression took her writing to a whole new level. In 2007 Kendal took a leap and moved to Toronto where she found a home in the folk and indie circuit. Endless shows and several projects later she connected with producer, songwriter and musician Mike Schlosser of Little Noise Records, and the musical results have formed that basis of all her music since. Her first EP “One” is available on Apple Music and Spotify and has helped her gain the attention of other Toronto artists, and landed her a feature in John Orpheus’ song “BUTTAHFLY”. 2017 saw the release of the single “Human Feel” with a video by Dylan Mitro (The Zolas), which explores the songs themes of universal love and acceptance, both of self and of others. In 2018 Kendal released “OK Cool”, a deeply personal collection of songs that picks up where Human Feel left off.